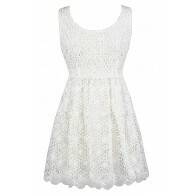 This is the perfect girly A-line chiffon dress for all occasions. It is flattering, sophisticated, and sweet at the same time. The Ruffled and Ready Chiffon A-Line Dress is fully lined and made of chiffon. It has flirty flutter sleeves, a banded empire waist, and a flowy A-line cut with subtle pleating. The best part of this dress has to be the dual layer of ruffles at the neckline, giving it a girly touch. A hidden back zipper completes this dress. The Ruffled and Ready Chiffon A-Line Dress would look nice paired with pumps or wedges for any party or social gathering. It could also make a cute bridesmaid dress. Details: Fully lined. Hidden back zipper. 100% polyester. Dry clean. Do not bleach. Do not tumble dry. Do not iron. Small measurements: Length from top of shoulder to hemline: 35". Bust: 33". 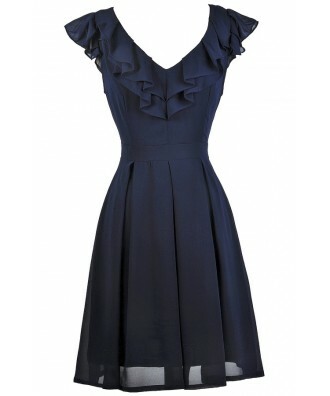 You have added Ruffled and Ready Chiffon A-Line Dress in Navy into Wishlist. 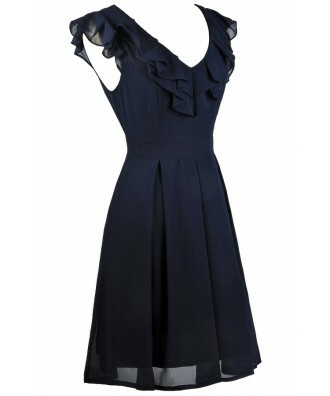 You have added Ruffled and Ready Chiffon A-Line Dress in Navy for Stock Notification. 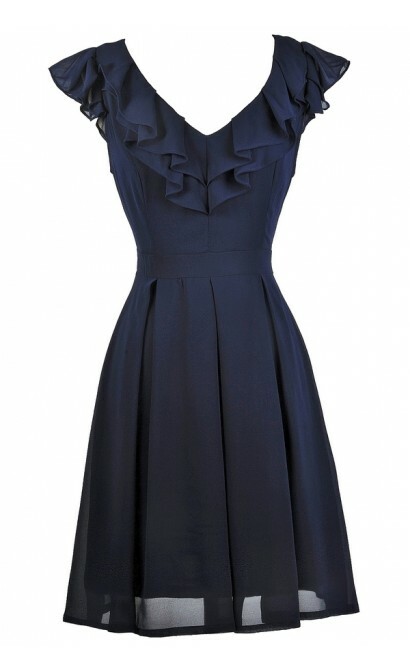 You have set Ruffled and Ready Chiffon A-Line Dress in Navy as a loved product. 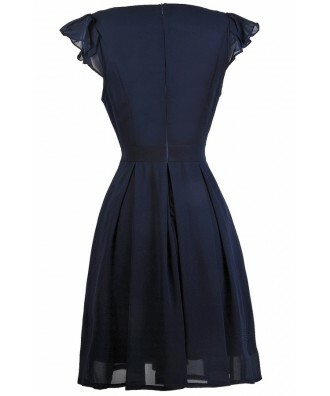 You have removed Ruffled and Ready Chiffon A-Line Dress in Navy as a loved product.